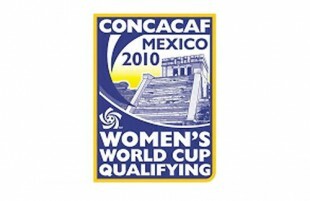 With goals from four different players, the US defeated Costa Rica on Monday to win first place in Group B of the CONCACAF qualifiers for the 2011 Women’s World Cup. 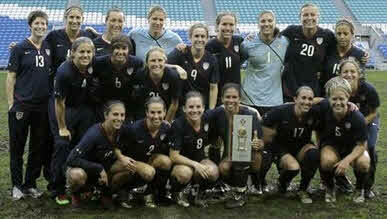 The US will face the second place team of Group A on Friday, November 5. Of the three Philadelphia Independence players on the roster, defender Heather Mitts and forward Amy Rodriguez—who scored a hat trick in Saturday’s 9–0 demolition of Guatemala—were given the day off. Midfielder Lori Lindsey was subbed into the match in the 37th minute to replace Carli Lloyd, who, to that point, had played in every minute of the tournament. As had been the case in the two previous qualifiers, the US was slow off off the start, allowing Costa Rica several scoring chances before creating their own momentum in a first half that saw 21 fouls called, 13 of which were called on the US. The US scored its first goal when Abby Wambach converted a penalty kick in the 31st minute after Lauren Cheney was taken down in the box. Cheney opened up the second half scoring in the 68th minute when she volleyed home a ball that began with a corner kick from Yael Averbuch. Five minutes later, Avebuch had a goal of her own, her first for the national team, when she received a pass from Kristine Lilly and struck a swerving shot past the keeper. Alex Morgan, who was very effective coming off the bench against Guatemala, proved to be the same against Costa Rica. After entering the match in the 62nd minute to replace Wambach, Morgan tallied the fourth and final goal of the match in the 81st minute. The US has scored 18 goals in its three group matches while allowing none.